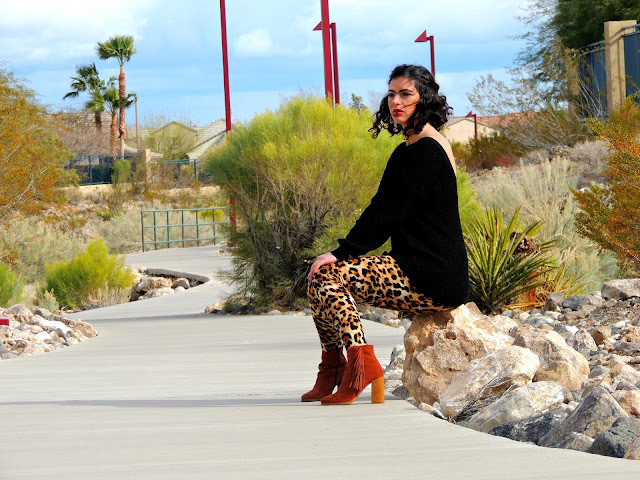 I was thinking about the autumn season and realized that even though spring is my favorite time of year, the fall trends are close to my heart as I love using them to express myself. That's why I want to share with you my most favorite trends, which I have worn before and look forward to wearing again and again this season...There's no shame in wearing the same pieces over and over again just as long as they're clean, right? These five trends totally make up my style during the fall as I tend to go from more girly looks to edgy ones and the other way around. Also, during the fall being cozy and comfy somehow go hand in hand together, which is such a nice change as I usually first go for style and then comfort. (Yep, I can stay in uncomfortable heels forever as long as I LOVE the way they look! I'm totally guilty of that!) What about you? Embroidery has entered my world since the summer and is continuing to rule it as it takes me into fall. I'm even waiting on a new embroidery piece that I want to tell you all about, but will keep it a secret until it gets here. Any guesses what it is? Anything with floral embroidery immediately becomes a beautiful staple that you just can't ignore, so feminine, delicate just like a delightful fairy-tale. In fact I'm fine with having embroidery on all my clothing from sneakers to even bras. That would be such a fun DIY idea! All I need is the time because this closet of mine is starting to overflow with shoes, clothes, bags... that's a good thing in my book! This fall, I'm thinking there will be lots of embroidery jackets that I can just throw on and go. So easy, as I can keep everything else simple, like a tee and jeans. Plus, like I mentioned earlier, I'll finally be both stylish and comfortable at the same time! Yay for embroidery!!! The more I wear it, the more happy I am that it exists. 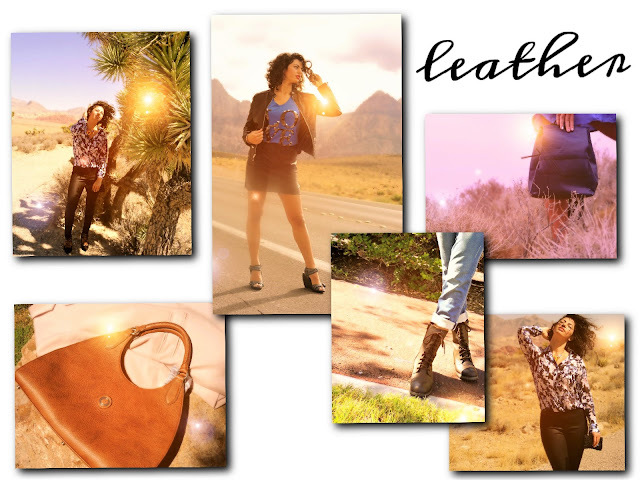 I believe leather is here to stay no matter the season, year or time of day. I'm positive we all have something leather that we love to death (for me it's my leather skirt) and will wear for years to come. Anyone in favor of fur? I hope I'm not the only one because what's a party with only myself? Completely boring and sad! Last year around this time I discovered fur vests/coats and as you can see I have built a nice collection since then that I'm really happy about. I love the way the fur vest completes my autumn days as the fur coat takes care of the winter days (sounds just like a poem). This trend is way too good to ignore or not take advantage of. With fur on, you'll absolutely look like a million bucks and your style will be hotter than ever, trust me. Plus, I don't see anything difficult in styling it, as it'll be a hit no matter what you want to wear. New believe: Stripes make the world go round! (If we all wear stripes on the same day that actually might happen.) LOL! Vertical or horizontal, thin or thick, every stripe is fine by me! I love them all and don't see an end to it at all. I think they make an outfit lots more interesting as they get all the deserved attention. If you're super close with stripes, no worries, no judgment from my side as I'm one of you. What's your favorite striped piece and how do you like wearing it the most? My final fall pick is the cool bomber jacket. It's so cool that it can melt an ice-cube and then cool it off again. WOW! I know right, I'm thinking the same thing. When I wear a bomber jacket, I'm drawn into making my look more sporty yet edgy. For some reason, that's what this type of jacket does to me. I can't picture it with heels, only booties or biker boots. How do you like styling yours? Thanks so much for reading this post. Let me know your favorite fall trend in the comments. As always please support FashionRadi by following my blog and sharing this post. Thank you so much! Let's rock all the leather this season. I am so happy to see that stripes will continue to be a big trend for Fall. I can't get enough of them. I also love wearing faux furs when it starts to get really cold. They always add an element of chicness of every outfit. I'm looking forward to wearing dark florals and bright colors for fall which is definitely new news to me during Fall-time! Means a lot. Thanks for following me. I checked and it turns out that I'm already following your blog :) Stay in touch! Amazing trends, I love them all! Same Paola! Totally looking forward to wearing them again. 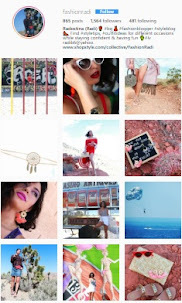 Such a great post with so interesting trends! I personally love wearing leather pieces. Great post )I like bomber jacket and stripes! I'm totally into the stripes and leather lately!! :D I've also noticed the bomber jackets were back, but unfortunately they don't go well with my body type. Too bad! great picks. love the leather boots. Yes, yes, yes to all of these trends! Such a good post. YES! So happy you enjoyed it!!! Thanks Jessi. Thank you Gregg! Your nice comment really made my day. I started this blog to inspire others and reading your comment really touched me. I'm already following your lovely blog. Hope you follow back and let's keep in touch. I'm all about embroidery and I totally want a plaid blazer too. Great choices you made, I really like the embroidery topic,though I haven't tried it out yet. Have a good weekend! Ohh you must try embroidery. Trust me, you'll become obsessed very quickly. Have a beautiful autumn my dear. Amazing selection, dear! So lovely items, like these trends so much! Okay! Just wear whatever you love. That is what's most important in the end of the day. Heyyyy! You know, I love all your picks! HEYYY! I love and appreciate your support. So true, there's no shame in wearing the same thing over again as long as they are clean and look presentable. I LOVE the embroidery on the outfit pieces and all five of the outfits you styled them in pictured in that first image! They are all gorgeous! I also like striped outfit pieces. The blazer pictured is a very pretty one. I feel the same way!!! Thanks so much Cris! 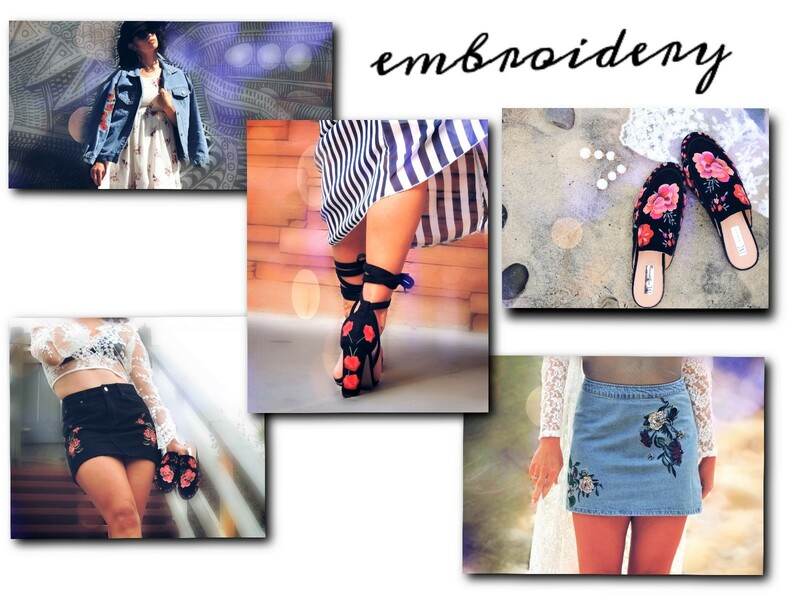 Those embroidered heels and mini skirts are to die for! Me gustan todas!! Sobre todo las rayas! Love so many of these trends, especially embroidery and bomber jackets, they're just so chic! Hi Radi! Hope you're having a great day (by the way I heard about what happened in Vegas last night, hope all the horror stop soon!). 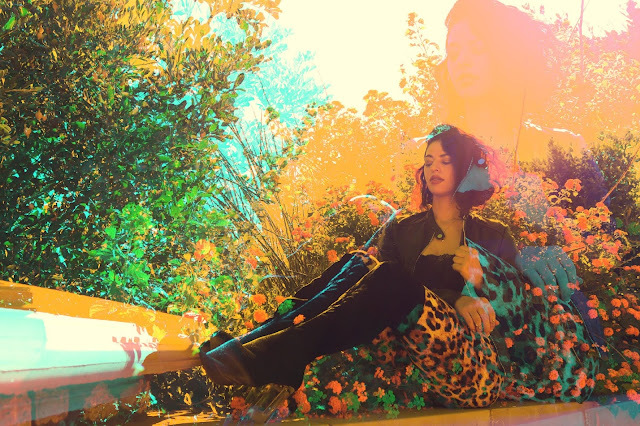 I love your selection for fall, each one of this trend is a must for the season but I would say bomber jackets are the perfect bomber for their versatility, especially when it comes to face the weather between summer and winter. Looking forward to see your fall OOTD's! I know it's so shocking and sad what happened in my city. I'm with you... I hope all these tragedies end forever. I'm so glad because I've got really awesome fall ootds coming to the blog. Stay tuned. Stripes are my ultimate love this season! Great styles and ideas, thank you! I've been really liking the stripes and embroidery this year. Great post! Me too! I don't know why, but I always end up wearing embroidery and stripes. I am all about embroidery right now! and I just bought a super cute faux fur vest that I am excited to wear :) Love this post! That's so exciting. Have fun wearing/styling it! That leather skirt is defintiely a must-have! 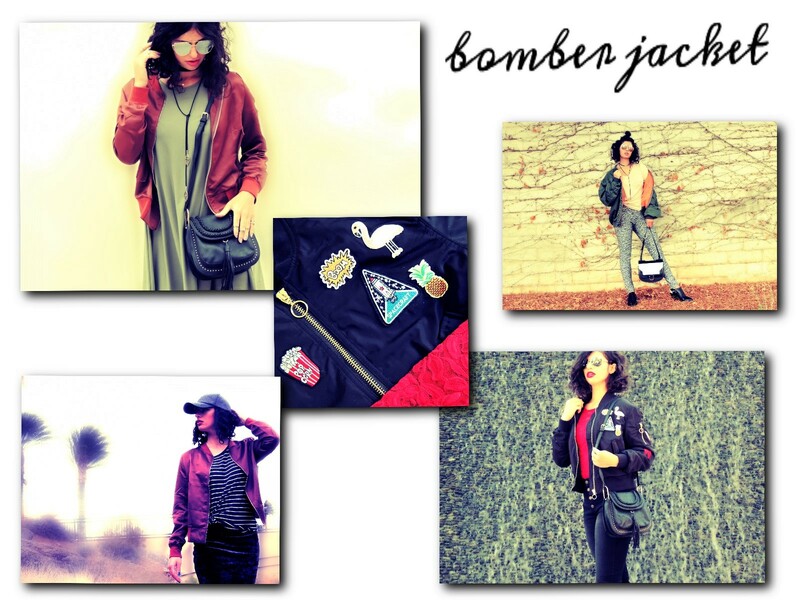 Bomber jackets and leather pieces are so good for Fall :) Thanks for sharing this! I'm loving the embroidery trend! I know so many great trends to get on board with, and you found some excellent examples here! i'm into the embroidery trend at the moment! I just love embroidery its so beautiful! Great style picks! great picks hun! 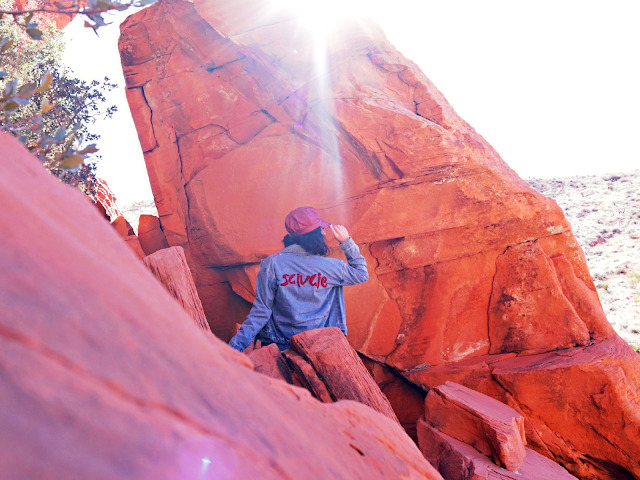 cant wait for fall to kick start in the desert. I'm in love with the embroidery and leather sections! Gotta love embroidery!! So good! This is such a beautiful post! I'm loving all these fall trends! I agree Rachel! Nothing can really replace leather and a cool embroidery piece. That makes me so happy. Thanks for sharing your positive feedback in a comment. I'm so happy you like it and found it useful! Adorei o post quanta tendência linda. Radi how cool is this editorial? I love your outfit and the photos are so proffesional. You look great xo.